Anas Edathodika is an Indian footballer born on the 15th of February, 1987 in Kondotty, Malappuram, Kerala. He presently plays as a centre back for Jamshedpur F.C. in the Indian Super League. Anas’ football career began with him playing for the Malappuram U14s. He played football along with having a part time job until he joined N.S.S College. He started getting the attention of the national team selectors during his inter-college games. He then transferred to the second tier side of Mumbai that plays in the i-league. Anas Edathodika has been a late bloomer when it comes to playing for the national side. He made his national debut in 2016 when he was 29 years old, in a match where India beat Cambodia with a close margin of 3-2. As of the end of 2017 Anas has played 9 games for the national team, and has managed to become a constant figure in the Indian side. Anas led the Mumbai side to a promotion to the top tier of the i-league and established himself as one of the most talented centre backs in the country in the process. He then transferred to their archrivals in the i-league, Pune F.C, for a period of two years. Anas then had his best season in his footballing career till then, in which he started in all 26 games for Pune in the I-League, helping the team defence concede only twenty-six goals that season. He was awarded Pune Football Club Player of The Year award for 2012–13. Anas was crippled by Malaria early in his career for Pune, which made him miss a huge chunk of his first season. He was out for the majority of the 2014-15 season due to a knee injury. Even when he was back, he didn’t perform at his best due to the same reason. This severely impacted his price in the transfer market. Anas’ career peaked in Pune when he was named captain for the 2013-14 season. He led his team to a 3-1 victory against the West Bengal giants Mohammedan S.C. in his very first match as captain. 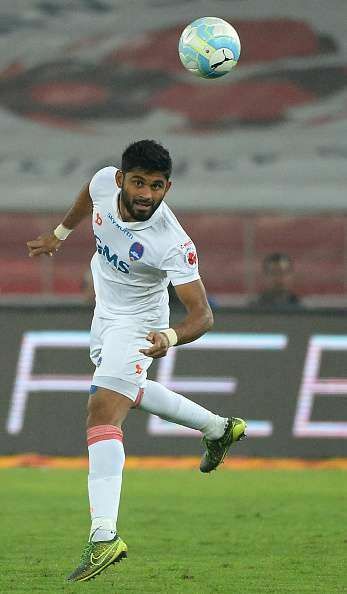 He then transferred to the Indian Super League and played a couple of seasons for the Delhi Dynamos, before getting transferred on a one season loan to i- league giants Mohun Bagan. In 2017, he became the first player to be signed in this history of Jamshedpur F.C., the brand new addition to the Indian Super League.